More than 200 ranking factors influence Google’s decision of choosing the top web pages to show as results for search queries. This is in an effort to provide the searcher with the best results. In that vein, Google is taking advanced measures that the first result on the list is the right one. This means, when you pay for the SEO services—to ensure that your web pages and content are optimised, so qualified visitors are sent to your website and those users leave your website after a positive experience, you need to know what these factors are, to get your money’s worth. The ranking factors are enforced through mathematical equations or algorithms targeting specific features on a page that will influence the quality of the search result. Before we get started with understanding these factors, it is important to know how search engine optimisation worked in its early days. Google’s focus was on most of these factors since the days when Search Engine Optimisation was a novelty. However, its algorithms were not as intelligent or thorough as they are now. Hence, SEO was solely focused on keywords, internal linking, and backlinking to sites with a higher page rank or domain authority. Most people are both lazy and smart. They want to get away with doing the minimum for maximum returns. Computers are stupid, and the early SEO algorithms were easy to manipulate. This gave way to blackhat SEO practices. Simply put, these were the techniques and practices that focused on manipulating the search engine algorithms to get better ranking, instead of focusing on creating value for the users or visitors. Earlier, it was easy: by creating more pages, webmasters could get away with sites with underdeveloped architecture. Instead of dividing and subdividing the pages, they went after keyword density and link stuffing. The idea that the site’s layout should be based on the ease of the users and maximum interaction wasn’t one touted by the leading SEO services of the day. The algorithm forced such websites to switch their tactics by prioritising content quality and search intent. Black Hat practices only bring the ranking down these days. Now, with Google Panda and Penguin roaming the internet, blackhat SEO is not as easy. Hence, the focus is not on keyword stuffing or creating thin content anymore. Any sites stuffing their content with keywords while frequently linking to other websites stopped being successful as they used to. It is getting harder and harder to manipulate Google to help a page rise through the rankings. Not paying due attention to the content quality of a website won’t fly anymore. Neither does linking to websites with less than sterling reputations! As Google introduced different algorithm improvements through minor and major updates to change the way Google understands our search intent and how it ranks sites accordingly, the Search Engine Optimisation landscape changed as well. Searches being conducted on mobiles, availability of autocomplete, the features of advanced and suggested searches, as well as, the video thumbnails changed it all. As its user preferences keep on becoming more and more refined, so do the Google algorithms and their updates. How Do These Algorithms Impact Search Rankings? Think of the 200+ factors as your guideline to what you should be focusing on when making a website and populating it with content. Ignoring them would mean that not only would be paying for SEO services worthless when it comes to bringing your website to the top tier. You might also be violating Google’s algorithms and that is something you don’t want to do! Violations of that nature might mean Google will penalise your website by hitting where it hurts, i.e., its ranking. If your website isn’t showing up when users look for a specific page or keyword, so will your web traffic. Moreover, you can’t depend on the next modified version of the Google algorithms to show and rescue your site from the discard pile. These updates aren’t planned, which means your website might spend months or a whole year before it regains its search legs. What you can do in a situation where you have received the notification for a penalty is submit a Reconsideration Request. However, don’t depend on the request to be approved. In the meanwhile, update your content, add more links to reputable sources, and change the website’s layout to a user-friendly one based on Google’s guidelines. Another thing to keep in mind is reviewing your Search Engine Optimisation strategy every few months. 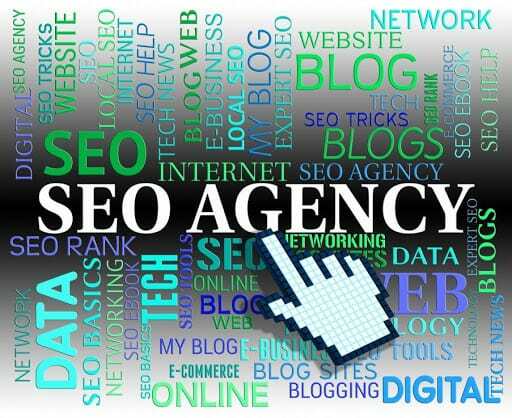 Don’t think of the SEO services being provided to you as an exact science. Instead, review the strategy every time Google updates its algorithm. That’s because each update changes something specific about the way search results come out. Therefore, you can’t depend on your strategy serving you best after every update. 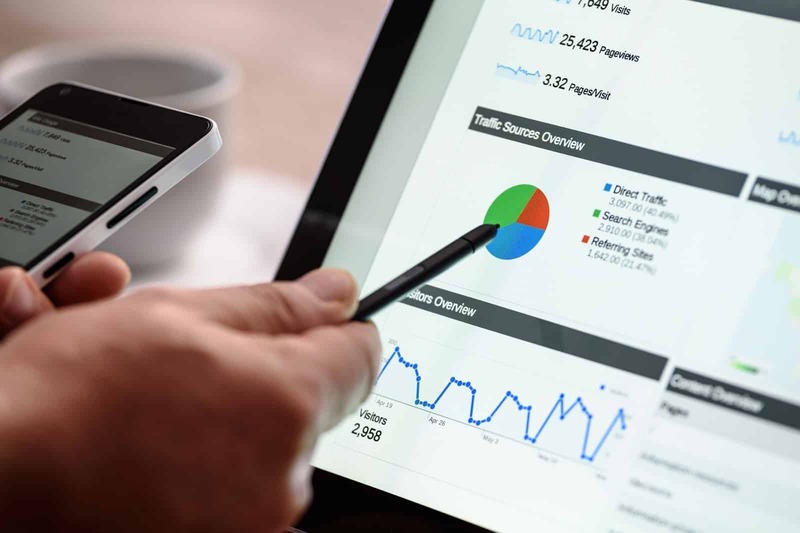 If Google introduces an update that focuses on what makes specific websites ranked highly, then that variable might not be covered by your current SEO strategy. Private blog networks are often owned by single entity. The Groundhog was all about targeting shady links that are widely used by certain private blog networks to give the rankings of member websites a boost. Fred was an update that targeted spammy websites and caused a 50-90% drop in the traffic on such websites. Google had once again cracked down on sites that use black-hat methods to improve their rankings. Such sites sport spammy content that is often bogus, irrelevant, duplicated, or out of date. One thing that remains constant on the Search Engine Optimisation landscape is that it is never constant for too long! The biggest reason behind the ephemeral nature of valuable SEO services happens to be Google itself. It is said that the search engine’s algorithm goes under 500 to 600 annual transformations! Even if most Search Engine Optimisation gurus don’t pick up on them, those changes happen. When a change is major enough to register on the SEO scale, such as the nine we saw over the past two years, you might need to change tactics to meet it. The Search Engine Optimisation community has learned to roll with the punches. The SEO services that you pay for should make you capable of doing the same. Here are some guidelines that will keep you from overreacting. Follow them to ensure that both your site and users and clients only get the best services. Yes, a major algorithm can be cause for panic but most of the time; you won’t even know the exact extent of the changes made by Google. So, in essence you are stressing out over something you don’t have a clue about. Don’t waste your time and energy doing that. Instead, wait for Google to release explicit details, if any. Then act accordingly. Taking steps before you have that information will only be based on speculation. If you are lucky, some of your guesses might even be right but most of them won’t be. As mentioned before, it is a good idea to revisit your Search Engine Optimisation strategy after an update. However, an even smarter idea is to do so only, if your site has been impacted. If you find out that the SEO services provided to you are doing their job, then lay off the improvements. How will you know if you are doing Search Engine Optimisation the right way? You might see a boost in the traffic on your site. Alternatively, you won’t witness any change. Both situations signify the same thing. The best thing before reacting is to measure the site metrics when the update hits the scene. Then wait a week and measure them again. Compare the two results to see if the updated algorithms had an impact on your site. So, not only did you not panic, you also waited for a week, as advised. At the end of the week, you found out there was some truth to the panicking. However, this isn’t the time to give in but to make adjustments. The first thing you need to find out is where you should start. A simple straightforward way to get started and one that is bound to end in success is going through the Google Webmaster Blog. Using that information as guidelines, find out what Google was trying to improve with the update. Since your site was affected by the modification, it means chances of those things being mentioned on the blog are high. When you find out, you will need to work on them. However, often the blog won’t mention an update. Remember Possum? Google never explicitly stated that with that update, it was targeting local SEO. The objective was to get rid of spammy websites listings and diversify them. In such situations, you might have to take your cue from the Search Engine Optimisation community. No direct admissions from the Google team mean that you will need expert advice. Go to a credible website and look for research-based pieces. That is how you’ll find out what to look for as an SEO services provider or site owner. Getting your information from less reputable sources and then acting on it could make things worse. For instance, some so-called experts won’t know what they are talking about. Others would suggest measures be taken that won’t be as effective. Still others would come up with solutions that do get short-term results but aren’t worth following in the end. That’s because they would be hurting the viability of your website. When making adjustments to your site after an update, make sure SEO Services make one change at a time. That way, you can see the impact of the adjustment and have a better idea of what is actually going on. The algorithms are changing constantly but what hasn’t changed is Google’s desire to serve its users with the best search results. So far, the updates have shown that the search engine might have a specific line of thinking in mind. They illuminate the differences that will arise between the structures as it is now opposed to the one in the future. There is a lack of communication between the different algorithms. Additionally, some of the signals weighted, are monitored by the core algorithm. On the other hand, there are also algorithms whose final product is sent to the core algorithm. Just as the visualisation shows, it is highly likely that in the future Google’s algorithms will be communicating. All the updates that have come out of Google point to such an evolution. You can see that this system won’t be centered on a specific algorithm. Instead, the directives given would be based on the search results and how efficient they are. It is obvious that Google intends to build a system that will change and evolve at the same speed that its users’ needs do. Using a core algorithm would slow down the whole process. The future shows a system that is centered around desires and not a formula that will remain static. 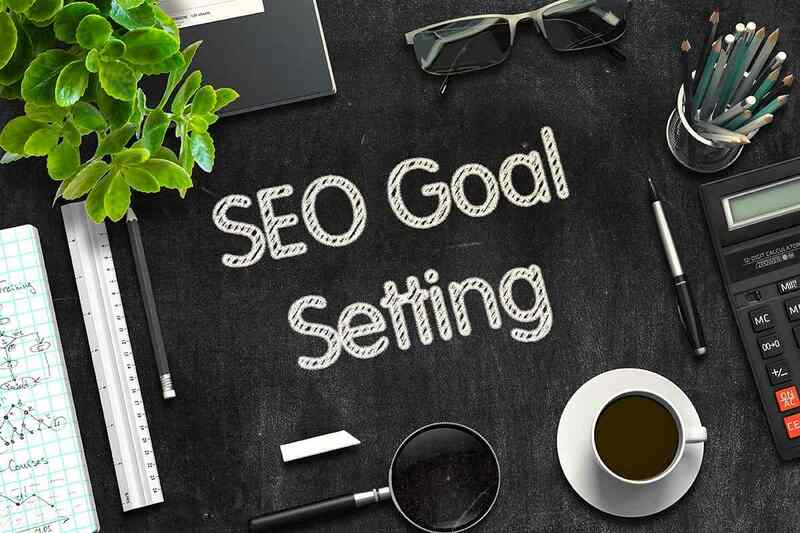 SEO services will also need to change accordingly since now the various factors that affect the ranking of a page will be “communicating” with each other (think: doublecheck) to create a more holistic rank. Such feedback would mean that by knowing the data for other components related to their own task, the different components of such a system will perform better. It is just as the different departments within the same company will coordinate with each other to produce better results. However, they won’t necessarily deal in details that aren’t germane to the task. 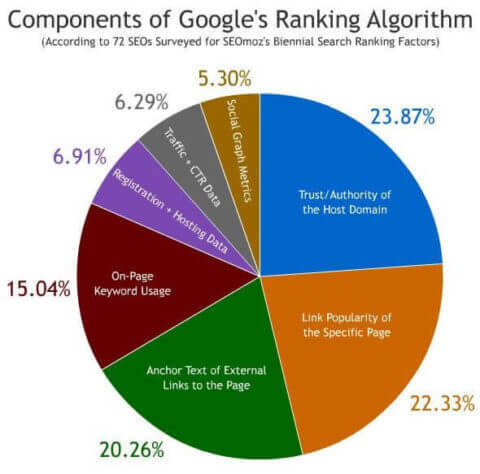 Google algorithms will continue to do two things: change and keep affecting rankings. If you are worried about where your website stands, then just keep in mind that it is always better to use legitimate SEO techniques. Stay away from black hat Search Engine Optimisation methods and you won’t be penalised for it. However, if you do witness a dip in the traffic on your website when a certain update is released, then you might want to sit down with your SEO services provider and find out what needs to change.